ww2dbaseAn accomplished soldier and statesmen, Maxwell Davenport Taylor’s career spanned some of the most important moments of the 20th century. 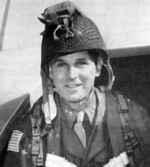 ww2dbaseA graduate of the US Military Academy in 1922, Taylor's steady rise through the ranks eventually led him to the 82nd Airborne Division, where he was Chief of Staff under Matthew Ridgeway. He also served as the Division’s artillery commander for operations in Sicily and Italy. "through enemy lines 24 hours before the Allied invasion of Italy (1943) to confer with Italian leaders about the possibility of conducting an airborne assault on Rome." ww2dbaseSeveral months before Operation Overlord, Taylor assumed command of the 101st Airborne Division after its first commander was injured in a training jump. Taylor jumped with his troops into Normandy on D-day and commanded the Division until the end of the war. ww2dbaseIn late 1944, his "Battered Bastards of Bastogne" became famous for defending Bastogne during the Battle of the Bulge, though he was absent attending a conference in Washington DC. ww2dbaseGeneral Taylor reached the Division three days after the ultimatum was delivered, and by then "Nuts!" (General McAuliffe’s response) went "out to the world and into history." Despite his absence at Bastogne, Taylor led arguably one of the best fighting Divisions in the European theatre. 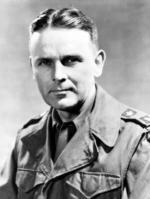 ww2dbaseAfter the war, Taylor served as commander of the Allied troops in Berlin and later as the Army Chief of Staff. He retired from the military in 1959, but was recalled to service by President Kennedy in 1962. Taylor acted as Chairman of the Joint Chiefs of Staff until 1964 and as Ambassador to South Vietnam from 1964-1965.
ww2dbaseGeneral Taylor died in 1987.
ww2dbaseSources: Arlington National Cemetery, Behind Hitler’s Lines, Britannica Online, Wikipedia. 19 Apr 1987 Maxwell Taylor passed away.